Australia's arrest Saturday of four men suspected of plotting a terrorist attack on a commercial airliner signals more than a resurgent terror threat to airplanes. Because the alleged weapon involved smuggling explosives and poison gasses in a standard kitchen utensil – a meat grinder or mincer – it demonstrates, too, the rapidly increasing sophistication of these plots and the development of new means of attack. It also exposes what international intelligence agencies, but few others, have known for some time: in a recent ranking of countries where radical Islam is a significant security threat, Australia stands in third place. This may surprise most people, who think of Australia as a land of laid-back surfers and cuddly koalas, but a different side of Australia has emerged in recent years – one where radical Islam is rising. And it's not just among immigrant populations; there, as elsewhere, converts also play a large role. The large percentage of Australian Muslims who have joined the Islamic State also has been little noticed. With an estimated 476,000 Muslims among 24.13 million Australians, the country has one of the highest per capita rates of Muslims who have made hijrah, or the journey to the caliphate. The ratio is about on par with France. According to a BBC report, the majority of Australia's radicals were born in that country. Sixty percent of them are of Lebanese heritage – another distinction from European ISIS members, most of whom appear to come from Northern Africa. And a 2010 report from Monash University's Global Terrorism Research Centre noted that, unlike other jihadists in the West, radical Muslims in Australia tend to be married (77 percent, as opposed to 38 percent in the UK). 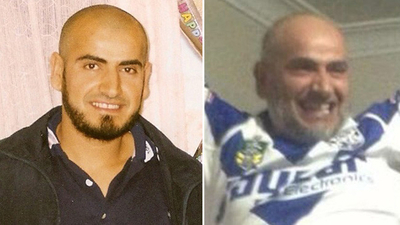 The four men arrested in conjunction with the latest plot all were Lebanese-Australian, according to the Daily Mail. Khaled and Mahmoud Khayat, alleged to be father and son, are believed to be related to a senior ISIS figure; Khaled and Abdul Merhi are said to be related to Ahmed Merhi, who has been in Syria since 2014 and is a popular ISIS recruiter. According to the Australian, while Ahmed Merhi's mother is Lebanese and a practicing Muslim, his Syrian father Faraj claims to have abandoned religion. Abdul Merhi was released Monday without charges. According to press reports, despite extensive questioning, officials found no evidence he was involved. Although the remaining three suspects have yet to be formally charged as of this writing, investigators claim that they were well on their way to developing a plot to smuggle either explosives or toxic gasses onto a Dubai-bound Emirates flight in the hollow base of the mincer. Other reports suggest that they had already tried and failed to board the Emirates flight, which carried as many as 500 passengers and crew, and were therefore targeting a domestic flight. The plot was first noticed by British intelligence officials, who alerted their Australian counterparts. If indeed the jihadists had planned to use an explosive, some experts believe it might have been acetone peroxide, or TATP – familiarly known as "Mother of Satan." "Mother of Satan" gas was used in the 2016 Brussels attacks and was found in the backpack of Salman Abedi, who blew himself up at an Ariana Grande concert in Manchester, England this past May. It can easily be made at home using standard acetone and hydrogen peroxide. Suggestions that they had planned to poison the air of the plane have led some, such as San Jose State University Military History Professor Jonathan Roth and others, to suspect that they were planning to use a sulfur mustard gas. It begins as a white powder that does not show up on standard airport tests, and must be packed under high pressure. According to the Australian news web site news.com.au, the materials "could be placed in a grinder so it was opaque through an X-ray machine and appeared innocuous upon visual inspection." Although this plot was particularly sophisticated, it was far from Australia's first brush with Islamist terrorism. Indeed, 15 plots were foiled between 2014 and 2016. In 2016, ISIS's online magazine exhorted followers to "scorch Australia with terror." Not that Islamist radicals needed much urging: Just in 2014, 18-year-old Numan Haider stabbed two counterterrorism officials outside of Melbourne, and Iranian-born Man Haron Monis held 18 people hostage, killing two, at the Lindt Café in Sydney. Several other ISIS-inspired stabbings, hostage-takings, and one shooting have occurred since last year. Other attacks have since been intercepted, including more than one plan to kidnap non-Muslims en masse and stage public beheadings. But this particular plot has implications that reach far beyond Australia. The clever attempt to hide the explosive material in an everyday object – one that can be facilely passed through security systems – is one easily copied by others, and for which we have no existing protections. It is also the first effort by an Australian terrorist to stage an attack on this scale – both in terms of the number of potential victims and in scope, moving beyond Australian borders. Together, they make frighteningly clear that even as the Islamic State's territory withers, the global reach and power of jihadism is still growing stronger. UPDATE: Khaled Mahmoud Khayat, 49, and Mahmoud Khayat, 32 were charged on August 3rd of preparing for or planning a terrorist act." If convicted, they face a maximum penalty of life imprisonment. Khaled Merhi remains in custody but has yet to be formally charged.